After winning a playoff series for the first time in a decade, expectations were high for the 2013-2014 New York Knicks. Add in the fact that they play in the most famous arena in the world and the New York media; anything short of a conference finals appearance would have been considered a disappointment. Now a quarter of the way through the season, those expectations seem like a distant memory. 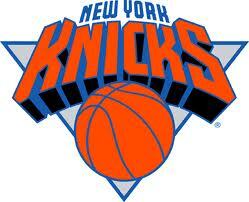 At 8-18 lets see what has happened to the Knickerbockers. The first glaring issue the Knicks have had this year is their lack of presence on the boards. They are ranked 29th in the NBA, averaging only 39 rebounds per game. The reason for this is because they lack physical big men on this team. They were exposed of this weakness even further when starting Center Tyson Chandler was lost for 4-6 weeks with a right fibula fracture. Forced to play 7 foot Power Forward Andrea Bargnani at Center (who averaged 5 rebounds a game in his career), New York constantly failed to grab a contested rebound. In a recent game against the Memphis Grizzlies, the Knicks were outrebounded 56-29. This massive problem doesn’t seem to have a solution at the moment, due to the Knicks roster. New Yorks current big men are Chandler, Bargnani, bench warmer Cole Aldrich, and the broken down Amare Stoudemire. Another prevalent issue with the Knicks is there lack of discipline. Coach Mike Woodson has let the lunatics run the asylum. This has led to constant ill-advised shots, fights in the locker room, and general anarchy around the team. This dysfunction was put on display in a game against the Milwaukee Bucks. With :11 seconds on the clock and a two point lead in overtime, Tyson Changler grabbed a big rebound. Chandler then passed the ball out to Bargnani. With the shot clock off, Bargnani inexplicably put up a three and missed. The bucks would then tie the game on their possession and send the game into double overtime. Woodson attempted to put his foot down by setting a 10:00 pm curfew on his players. This did absolutely nothing as New York was blown out the next day. If New York has any chance of righting the ship this season, Woodson needs to go. With a career record of 286-337, he hasn’t exactly been a fantastic coach. The Knicks need a disciplinarian to come in and control this team, which is something Woodson doesn’t offer. Lastly, someone who encompasses all of the Knicks issues is one is Shooting Guard J.R. Smith. Smith has always been a head case, but this season he has turned into a full out circus. Before he even hit the court this year, J.R. was suspended for the first five games of the season for his third failed drug test for marijuana. In addition, Incarcerated Bob reported that Smith was doing cocaine in nightclubs during the playoffs last year. Once he hit the floor, Smith made Knicks fans wish they got high before watching him. The reigning sixth man of the year is averaging a career low 11.2 points per game. He also has a pitiful field goal percentage of 34.1 (also a career low). The embarrassing year came full circle when Smith put up a record 17 three pointers in a game against the Bucks. Of those 17 shots, he hit five. Smith is a malignant cancer to the Knicks locker room. With his selfishness, lack of game I.Q., and wild behavior, he is a perfect representation of the team as a whole. Can this team make the playoffs? Maybe. Can this team compete in the playoffs? Absolutely not. The Knicks are the picture of dysfunction and have been for years. In reality, until James Dolan is no longer the owner, the Knicks will stay that way. really going to say a lack of discipline from Mike Woodson led to Bargnani chucking up possibly the most ill-advised shot in NBA history? Get out of here.